5 for the Open is a look at five storylines that will be major plot points going into 2013's final major, the US Open. 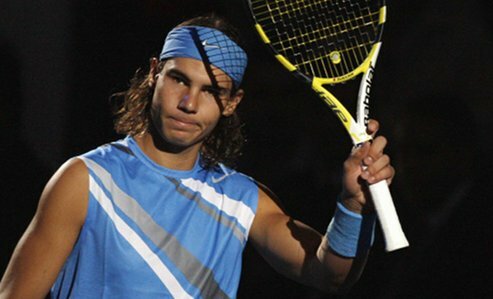 What are the odds of Rafael Nadal winning the 2013 US Open? Well, they're infinitely better than they were back in February when we weren't sure if his balky knees would even let him play the tournament, let alone be marked as a prohibitive favorite. Since those nervous first steps back onto the battlefield in Chile, the Spaniard has won his 8th title at Roland Garros, a record tying five Masters 1000 titles this season (Indian Wells, Rome, Madrid, Montreal and Cincinnati) and a season high 55 matches in 58 starts, including 15 consecutive wins on the North American hardcourts. This is clearly the most steam the Rafa Express has ever had buggy-whipping its way into Flushing Meadows. On the other hand, his biggest rivals Roger Federer, Novak Djokovic and Andy Murray are all searching for answers after uneven hardcourt runs. As always, the draw will have its say, but all things being equal, it's hard not to consider Nadal the US Open favorite at this moment. What would a win mean for him here? As he's fond of saying in his English-language pressers, a second US Open title would be "more than a dream" for the former World No. 1. It would further cement Nadal's exalted place in the tennis pantheon, putting his run even more solidly among the very best few to ever swing a racquet. Here's how. No. 1 Now: For starters, a US Open title means 2,000 ATP rankings points. While that wouldn't be quite enough points to immediately unseat Novak Djokovic (unless Djokovic lost before the final), it would mean a likely return to the No. 1 ranking in short order for the clear leader of the ATP Race to London. With no points to defend until February, a US Open title would shift the rankings pressure squarely onto Djokovic's shoulders. Djokovic is defending champion's points (3,000 of them total) at Beijing, the Shanghai Masters and the ATP World Tour Final (lovingly abbreviated as the ATP WTF). If Nadal bested Djokovic in the final in New York, the Serb's lead would be cut to just 120 points. If the Serb fell earlier, a title would secure Nadal's improbable bull run back to the top spot in the world rankings. Lucky No. 13: A second US Open crown would mark Nadal's 13th major title, breaking his tie with Roy Emerson and putting him one major behind Pete Sampras, who ranks 2nd all-time with 14 majors--Roger Federer leads with 17. What's lucky about 13? Well, both men who have won a 13th slam to date have gone on to add to their trophy collections. One Away: A second US Open win would leave Nadal just one Australian Open shy of a second career Grand Slam, a feat never before accomplished by a man in open tennis. (Rod Laver's grand slams straddled the Amateur and Open eras). Nadal would be just this title from accomplishing the feat in New York if his blistering 5-set, 6-hour Aussie Open final in 2012 had tilted in the other direction, but the history it what it is. That said, a man often lauded (and derided) as the King of Clay could win his fifth major off of his favorite surface in New York and he would be one (admittedly large) step away from having proven himself twice over on all four of the sport's biggest stages. Why does this matter now? For all the hand-wringing about the fading fortunes of fellow all-time great Roger Federer, this amazing 2013 run looks likely to be the beginning of the last major push for the Man from Mallorca too. Forget the balky knees, the numbers never lie. Nadal will turn 28 during next year's French Open, an age where even the healthiest players begin to truly face their tennis mortality. Remember Marion Bartoli? The reigning Wimbledon champion who retired just days ago saying she and her body have had enough; that she'd achieved her dreams and it's time to go. She's 28. Andy Roddick hung it up at the Open a year ago at 29. Would anyone be shocked to hear the Spaniard express similar sentiments in the not too distant future? One, two, three seasons more? We're not sure, but at 28, the clock on a pro tennis career really starts ticking loudly. Believe it or not, the kid who upset the apple cart in disrupting Roger Federer's vice grip on the tennis world is now more an elder statesman himself. An extremely accomplished one at that who's making what could likely be his last film bore run at history. We're not saying Rafa's done, but he's certainly not as far from it as he once was. 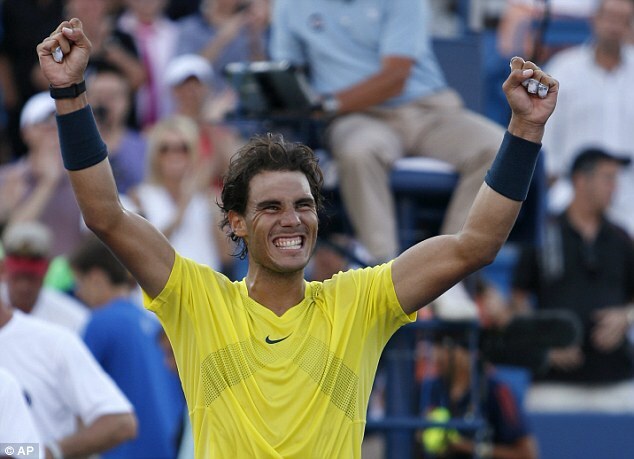 A title at this US Open could dramatically alter how history remembers Rafa when he hangs up his Babolat. The particular look-alike Omega timepieces market is indeed money-making, you can find retailers and also web sites emphasizing the particular marketing regarding hublot replica uk. Merely ensure in fact determine a great Omega artificial timepieces, a thing you need to be aware. Currently, there are numerous look-alike watches on the market which you select the right identical to suit your needs or perhaps other folks and also ensure you produced a great choice. Selecting the right chanel replica contains contemplating several timepieces look-alike factors combined with life-style from your developed particular person sporting these. There are tons regarding items which can make Panerai timepieces exceptional. The main will be in which fake omega provides a unique personal amount for your collection which it provides result from. Consequently, they will realize replica chanel reproductions certainly are a fantastic assortment plus a excellent purchase. Panerai timepieces on the market are specially crucial for many who enjoy the particular appearance with the observe which usually arises from the particular mix of Europe advancement, German layout and also great really like for your marine.